You will have one base for your adventure in Sabah, in the city of Kota Kinabalu, and from this central point you can access an astonishing variety of scenery and natural treasures. 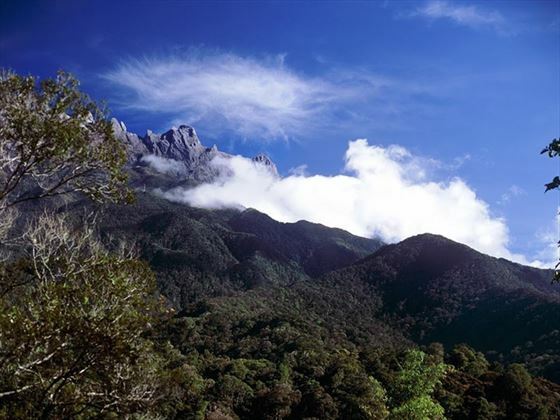 Leave the mainland behind for a day with a boat trip to the nearby islands of the Tunku Abdul Rahman Marine Park, visit the World Heritage site of Kinabalu Park, home to Mount Kinabalu and travel north for an insight into rural life and traditional culture of the region, where you will stay overnight in a longhouse (DTM). You will be met on arrival at Kota Kinabalu airport by your guide and transferred to your Hotel to check-in. 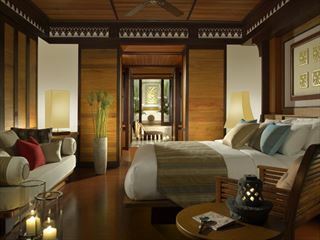 Enjoy the rest of the day at leisure to explore the city on your own or relax in your hotel until dinner. In the evening you will be collected for a very special welcome dinner at D’Place. This restaurant features an array of Sabah Indigenous foods and you will be treated to a cultural performance featuring traditional dances. Hotel Grandis (or similar) – check in for 5 nights (one night you will be away from the hotel in a Longhouse but can leave most of your luggage). After breakfast start the day with a tour of the City of Kota Kinabalu. Visit a Chinese Buddhist temple, the Blue mosque and the Sabah Museum and enjoy a local Malaysian lunch. After lunch, we drive south to the town of Beaufort and then on to Kota Klias where you will join a long-boat river cruise into the Mangroves. 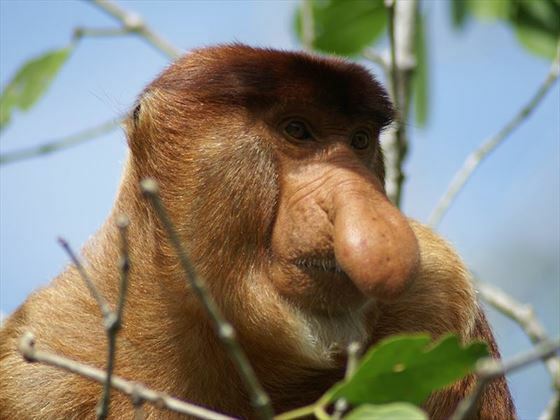 Look out for the Proboscis monkeys that are only found here in Borneo, Macaques and many indigenous birds. The cruise returns as the sun sets and on a clear day marvel at the lights of the fireflies in the tree canopies. Enjoy a typical Malaysian dinner before returning to your hotel. After breakfast, pack an overnight bag for a special adventure. Driving north to the tip of Borneo, you will stop en-route to visit local markets and enjoy the rural scenes of native villages, rice fields, and rubber estates and fruit orchards. At Tanjung Simpang Mengayau there is a great view of the meeting of the South China Sea & the Sulu Sea from the furthest point of Borneo island. 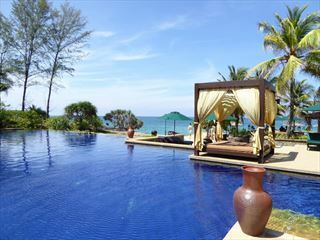 Enjoy some time swimming in the crystal clear waters before heading to a traditional long house for the night. Enjoy traditional dances and food for dinner. Overnight: You will be staying in a traditional Rungus longhouse and it will be a unique experience if rather basic (bedding and mosquito nets are provided). Spend some time exploring the surrounding area of the village, do some trekking and observe the life style of the local people. Observe their methods of making traditional handicraft. Visit another village where Gong making is a specialty and observe their bee keeping technique. A stop for lunch is made on the way back and you will visit a local pottery to see pots being made and decorated with traditional motifs. After arriving back to your hotel in Kota Kinabalu, the rest of the day is free to relax or explore the city. Drive through the Crocker range to the Southern end of the Kinabalu Park, where you will find the Poring sulphur springs. 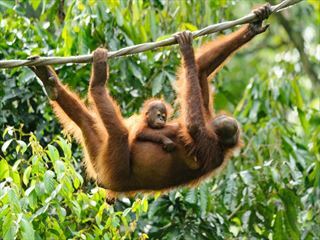 Take a walk on the jungle trail, venturing into the canopy walkway which is a series of bridges built 40m above the ground. This provides the visitor with a bird eyes view of the rainforest canopy. After lunch, proceed to the Kinabalu Park Headquarters, home to the Mountain Garden with its collection of rare orchids and plants that are unique to Kinabalu. Depart the park and return to the city and your hotel. Transfer to the jetty in town for a short (approx. 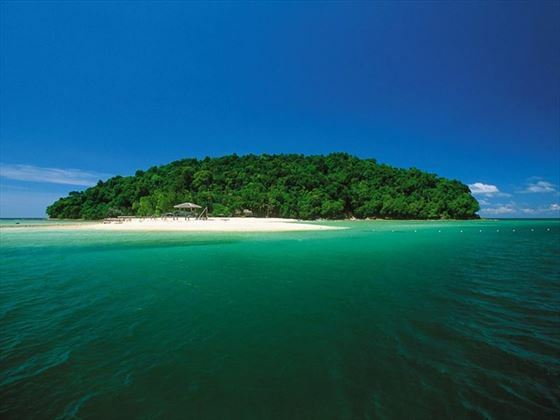 20-minute) boat ride to one of the coral islands within the Tunku Abdul Rahman Park. 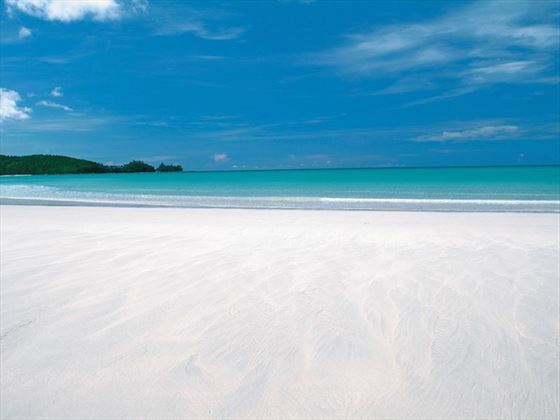 Spend the day swimming, snorkelling or just relaxing on the beach. Enjoy a simple pack lunch and return to the mainland in the early afternoon (basic shower facilities are available on the islands). Today you will check out of Kota Kinabalu after breakfast for your flight home or onward journey. Enjoy time at leisure until the transfer to the airport for your departure flight. Tours will be offered as stated in the program, but some may be done on different days than stated in the program. For example, if our program states a city tour on Day 1, it may be postponed to Day 3 instead, without any prior notice given.